Photos from the January 24th, 2018 Ceremony are here. 2016 Agency of the Year Announced! Winner profiles will be published in December. Award Ceremony will be held on January 25, 2017, at The Yale Club. We purposely leave the process 100% open-ended, because we believe agencies are the best storytellers in the world and one of the qualifications for Agency of the Year is that they should know how to tell their story. When we started this process, we began with a simple questionnaire and we found a lot of people were simply answering questions. If you read over the write-ups of any of our past winners -- all available via the Agency of the Year Past Honorees section -- you will see how winners have told their stories in the past. 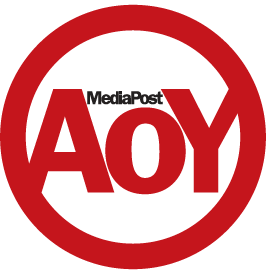 MediaPost honors the year's best agencies! New categories added this year. Now accepting nominations through October 20, 2014. Submit your nominees to MediaPost's Editor-in-Chief, Joe Mandese. Tickets to OMMA's Agency of the Year Cocktail Party is SOLD OUT. Please contact Persia Tatar if you have questions about attending the event. OMMA Magazine hosted its Tenth Annual Agency of the Year Awards on January 30, 2012 at 6pm at the Yale Club in New York City, paying tribute to the year's best in the online media industry. View the photos from the event on our Facebook and Flickr pages.